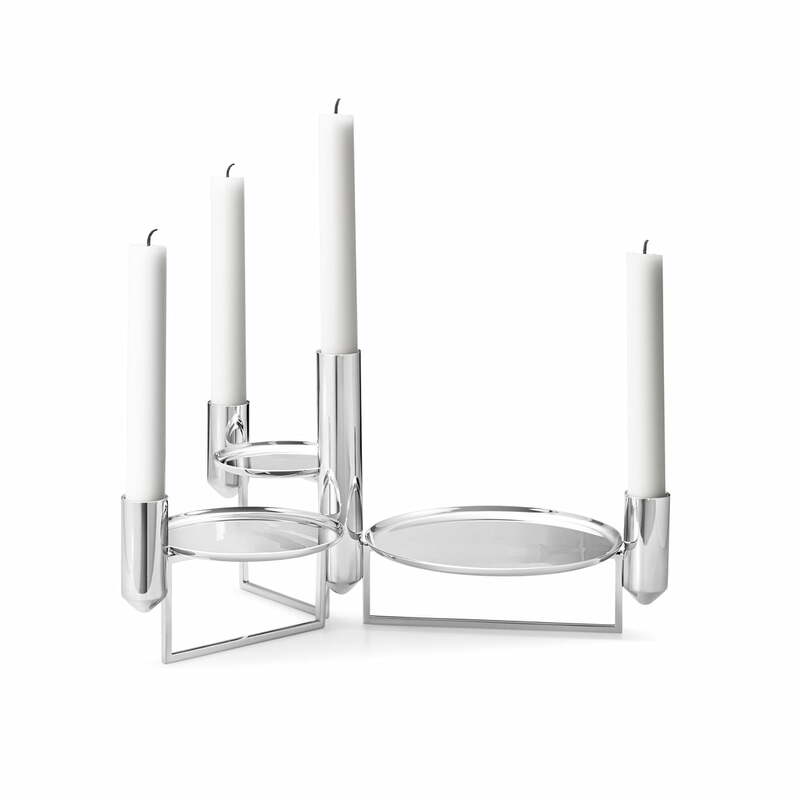 The Tunes candle holders by Georg Jensen are a design by designer Monica Förster and an extraordinary combination of candleholder and tray. Small snacks, nibbles or decorative objects can be served in style on the trays, while the light from the candles creates a cosy atmosphere. This makes the Tunes candleholders ideal for the dining table. At Christmas, the candlesticks with biscuits and confectionery are arranged into modern accessories, but thanks to their noble appearance they can also be used all year round. The candleholders are made from porcelain and are available in different colours and sizes. Monica Förster was initially inspired by musical notes, where the small series got its name from. As a centerpiece on the dining table or as an eye-catcher on the side table, the candleholders can be used alone or in combination in any living room. There are no limits to the imagination for the decoration of the trays. 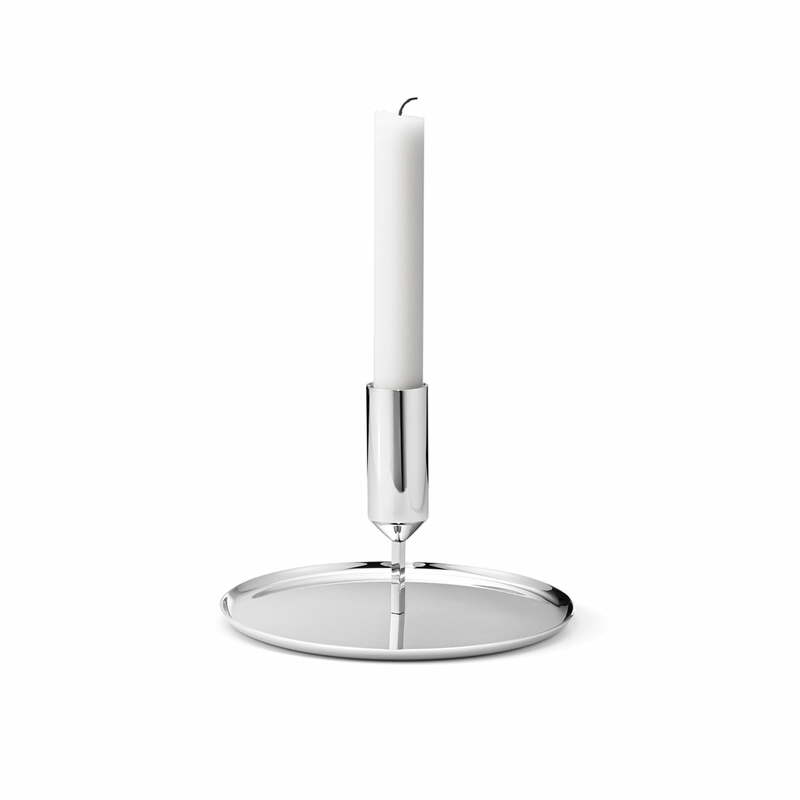 The Tunes candleholder low by Georg Jensen made from stainless steel. Small snacks or decorative objects can be stylishly served on the stainless steel trays.